Want to enjoy a night out without the kids? Enjoy a glass of wine without having to entertain the little ones? What about sitting on the beach...and actually reading a book? Whether you need babysitting services for the casual night out or even an extra help of hands we are here to help! 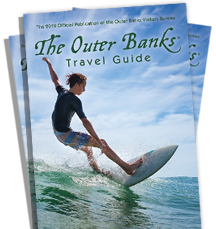 Services from Southern Shores to Corolla, Kitty Hawk, Kill Devil Hills, Nags Head and Manteo. You came to the Outer Banks for a vacation! Now let us help you relax..without the kids.